As one of Alpine’s excellent partners for Bedford, Milton Keynes, Luton and Northampton, we will give you a 2 year warranty on parts and labour for any Alpine product that we supply and fit giving you extra peace of mind. Autotronix has been a Alpine dealer for over 25 years and throughout the years Alpine audio equipment has always given good quality and reliable product, as a result providing great value for money and performance. The Alpine Pwd x5 is a subwoofer which has a 5 channel amplifier built in which can be fitted under the seats or in the boot of your vehicle. Furthermore, this is the perfect solution to gain a great sound for your vehicle and most importantly can also be added to any car audio system, original radio system and aftermarket. Also with the inbuilt DSP sound processor, the sound can be adjusted to the environment of the vehicle giving it a better bass response, and clearer vocals. 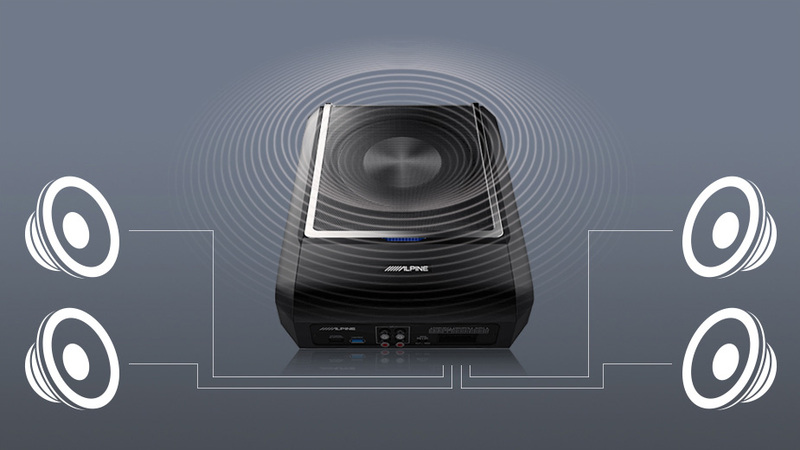 Alpine PWD x5 connects via blue-tooth allowing music to be played and controlled directly from your phone. Having its own display, music can be adjusted through volume for speakers and subwoofer. A more advanced setting can be changed via DSP in the mobile phone app. The Alpine Hallo 9 has a very stylish 9″ high-resolution touch screen. It can be fitted in a single din size radio slot or double din slot and provides Blue-tooth streaming and mobile phone car kit. Android auto and apple car play come with this unit giving extra functions. Digital radio plus with USB video. 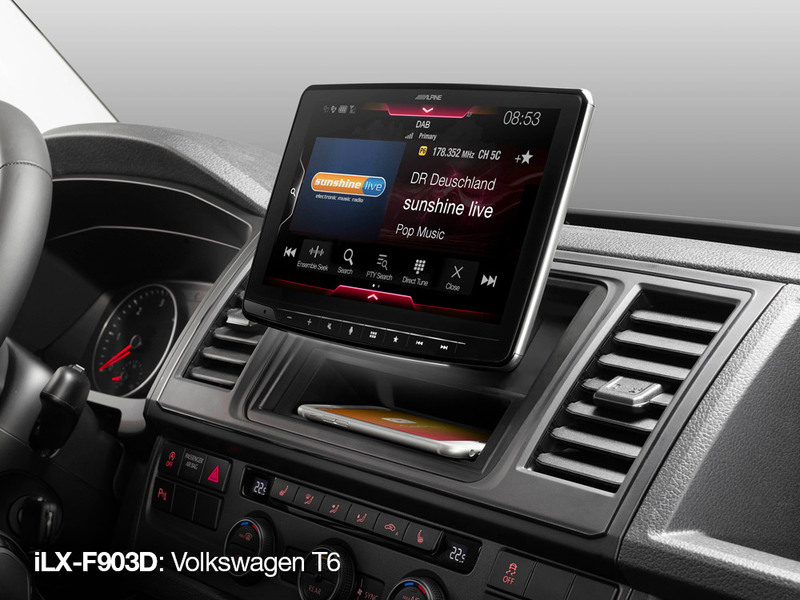 Alpine Halo 9 is designed to work with apps such as Spotify, Whats app, Amazon music and navigation systems such as Waze. Therefore these features can be accessed via the touch screen. Autotronix will give a 2-year warranty on any Alpine product supplied and fitted by Autotronix .